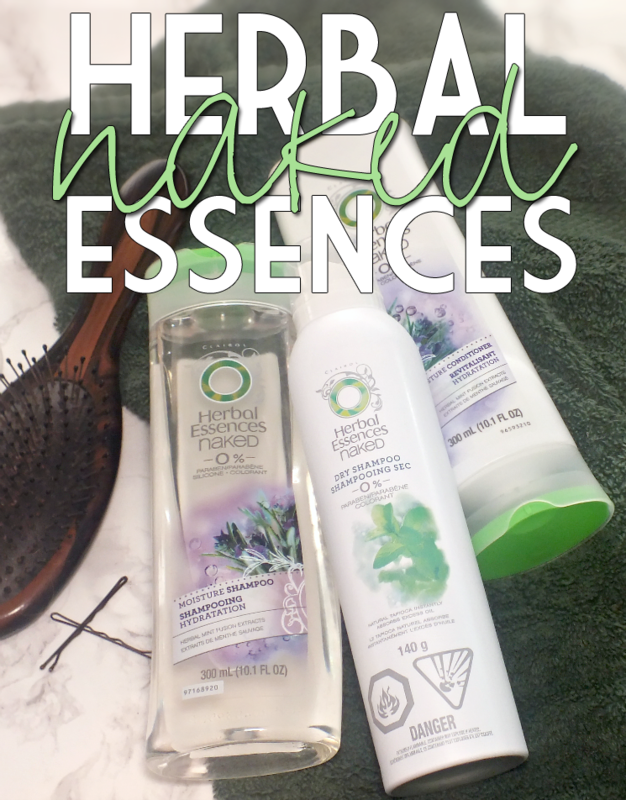 When prepping this post, I realized it's been a while since we've chatted shampoo. It's one of those everyday beauty items (or every other, no need over washing) but isn't always the most discussed blog topic. 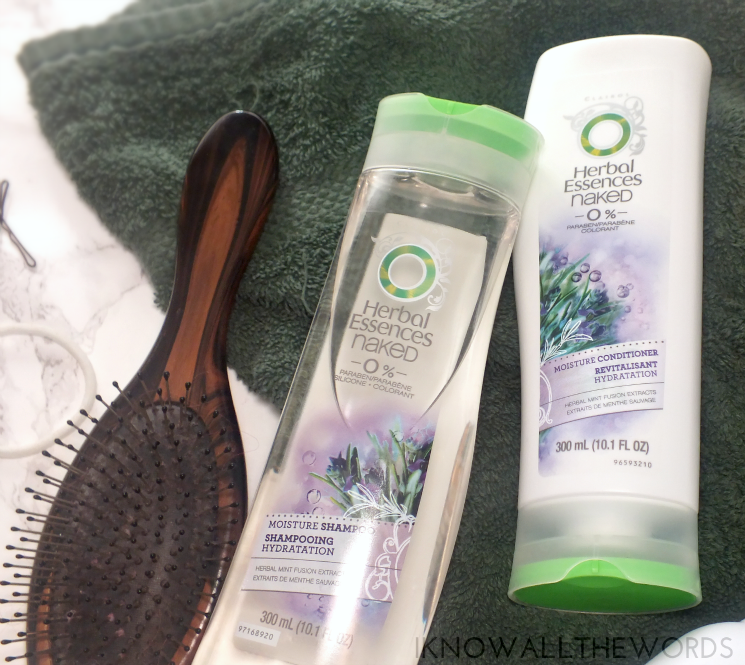 Today that changes, as the Herbal Essences Naked Moisture Shampoo & Conditioner and Dry shampoo are in the spotlight. Want to know more? Read on! The Herbal Essences Naked range includes three shampoo & conditioner offerings (Volume, Shine, and Moisture). I've been using the Moisture duo and have to say, am a bit disappointed in the shampoo. The whole shtick of the Naked range is that it's free of colourants, parabens, and silicones (only the shampoo though). It's definitley a case of over marketing, because I assumed the range would also be safe for colour treated hair and lack SLS. Nope. Naked doesn't quite reach that far. Sodium Laureth Sulfate and it's buddy Sodium Lauryl Sulfate take residence as the second and third ingredients. Colour killing SLS aside, the shampoo isn't too bad. It's gt a fresh herbal-mint scent and leaves hair completely cleansed. Unlike many of the colour-safe shampoos I use, it also leaves hair feeling lightly hydrated and not a ratty, tangled mess. While I won't be using this as my regular shampoo, I will give it the odd sneaky use as a clarifying shampoo. The Naked Moisture Conditioner isn't quite as Naked as the shampoo as it does contain silicones, but does have the smae herbal-minty scent. The conditioner feels lightweight, but does give hair a nice bit of moisture. It leaves my normal-dry hair feeling pretty smooth and manageable but doesn't weigh it down. The real winner of the Naked range is the Naked Dry Shampoo. Using tapioca, it absorbs excess oil and refreshes hair with a minty white grapefruit scent. I know, the scent doesn't sound quite right, but it is actually kind of great and does give an fresh, clean aura to your dry shampooing experience. The shampoo leaves the tiniest bit of a white cast on my dark hair, but it does disappear once brushed. I love that I don't need to use a ton of this for it to work and that the price is so easy on the wallet. While I do like this dry shampoo, I do find it can leave hair feeling a little bit dry throughout the ends. A simple solution is a spritz of leave on conditioner, but, yeah. Overall, I don't love that the term Naked is so loosely used, but what can you do? The shampoo is a good option if you don't colour your hair, and you really can't go wrong with the conditioner and dry shampoo. I've previously bought and used the dry shampoo and will keep on buying it as long as they make it. It's definitely a great drugstore dry shampoo. Again, you can't beat the price. Have you tried any of these products? 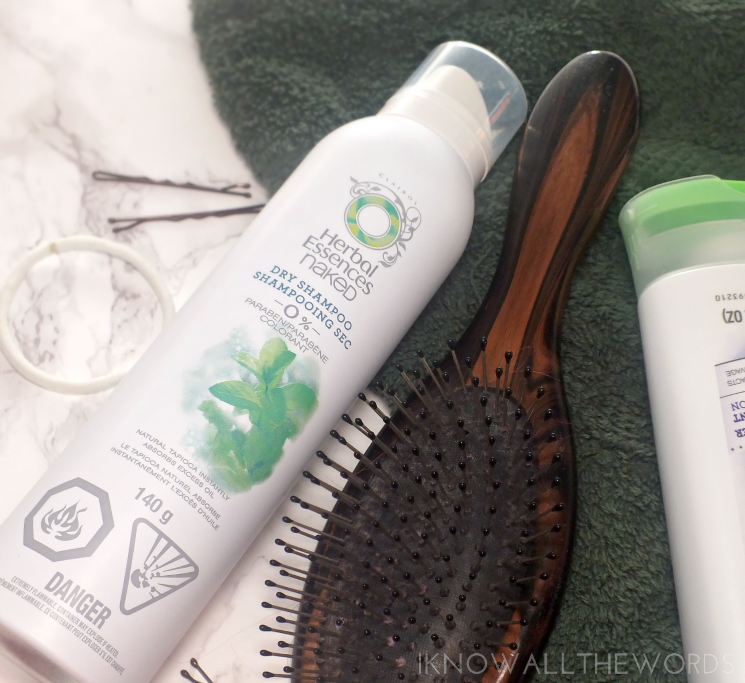 What are your favourite drugstore hair products?